It is with tremendous pleasure that we can announce, each and every Monday evening commencing 15th April, Mr Roy Buckley will play live at Costigan’s as part of our newly entitled Rebel Red Sessions! Never heard of Roy Buckley before? Roy Buckley is a singer, songwriter, musician, recording artist, Guinness World Record breaker and founder of The Song Collector Sessions & The Song Collector Podcast from Cork City, Ireland – (try saying that after a few pints!). His music has been described as passionate and real by his peers, possessing the ability to create an indelible atmosphere and a memorable experience for the audience through his unique voice and talent – in simpler English, he’s absolutely class! Buckley’s knowledge of folk songs and stories, combined with the vast amount he has in his repertoire, have earned him affectionate nicknames such as “The Irish Song Book” among friends in the music business. 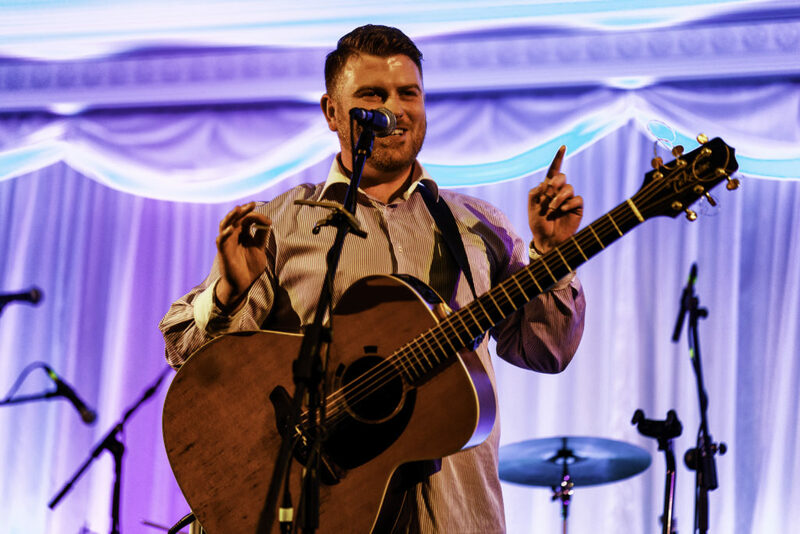 In 2017, Roy Buckley celebrated 15 years in the music industry and continues to bring his music to new audiences all over the world playing festivals, shows and events in a wide range of countries including Denmark, Sweden, Portugal, Spain, Finland, Estonia, Holland, Norway, the UK and the USA. From Cork to all over Ireland, Roy has helped to refresh folk music to both young and old. Being a fan of great songs and songwriters from all genres, Buckley has been known to cover a variety of songs from his extensive repertoire at live performances. Phil Coulter, Mike Hanrahan (Stockton’s Wing), Liam Reilly (Bagatelle), Christy Dignam (Aslan), John Spillane, Sean McGuinness (The Dublin City Ramblers), Francie Conway and Finbar Furey among others… LIKE WOW! Roy Buckley is in constant demand both home and abroad to great acclaim for his live performances so you can imagine how thrilled we are to have secured him for EVERY MONDAY NIGHT!! In addition to his well respected folk background, Roy Buckley is a songwriting enthusiast and is the creator and founder of The Song Collector Sessions. The Song Collector Sessions are a series of intimate shows that get up close and personal with Ireland’s most established, leading and promising artists. Every show allows the audience to get an insight into the mind and the music of some of this country’s greatest songwriters and indeed, song collectors. Dreamed up, created and founded by Roy Buckley, The Song Collector Sessions give each artist a platform to perform and speak about their songs, their music, their influences, as well as some stories from the road! Each Song Collector Session lets the fans experience and enjoy the huge array of musical talent that Ireland has to offer from so many diverse genres and styles – something magical always happens when The Song Collector Sessions come to town! Since the birth of The Song Collector Sessions in the Summer of 2012, the show has gone on to become a nationwide success with sell out shows in Cork, Kerry, Waterford, Laois and Wicklow. In October 2014, The Song Collector Sessions had it’s debut in Las Vegas!! with 2 full house shows and participated in the breaking of the Guinness World Record for Longest Concert by Multiple Artists which lasted for 372 hr and 10 min and was conducted by Rí Rá the Irish Pub (USA), Las Vegas, Nevada, USA from 1st October 2014 to 17th October 2014. Some of Ireland’s greatest singers, songwriters and best loved performers have graced The Song Collector Sessions stage and proven that Irish music, Irish songwriters, Irish artists, Irish culture and Irish passion are well and truly alive and well represented! 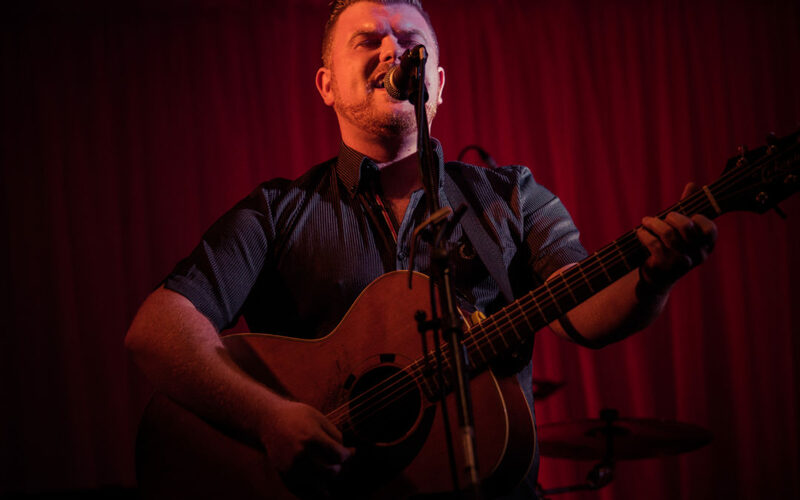 So please come and join us in awe and admiration of the one and only Roy Buckley, each Monday from 9pm as part of Costigan’s Rebel Red Sessions.